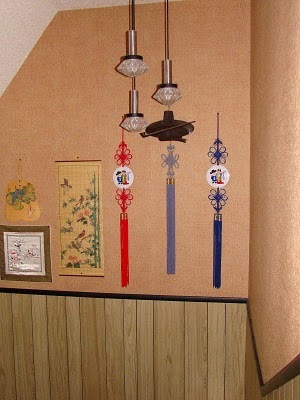 ^ This is the stairway landing, and on the wall are memorabilia from my Grandparents visits to Korea. 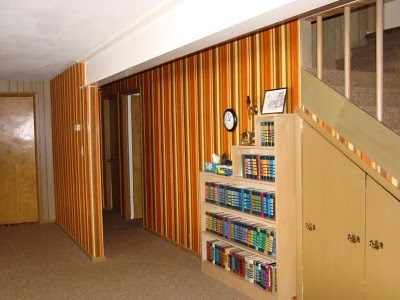 ^ And on down into the basement. 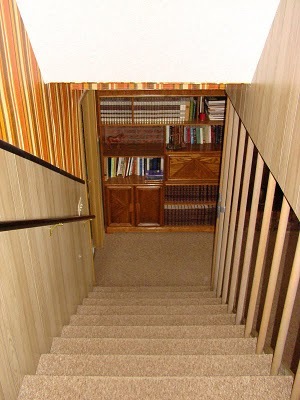 I remember the shelf at the bottom of the stairs being full of my Grandpa's Louis L'Amour westerns. 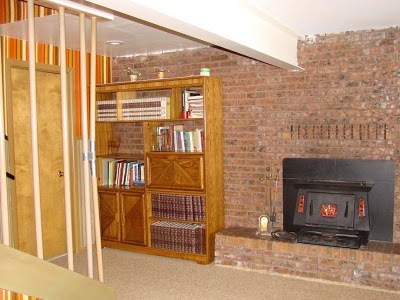 ^ The basement fireplace. Notice the duck tape on the last staircase rung? That's because all the grandkids would fly down the stairs, grab onto the rail, and swing around to the floor. 'i guess it gave in eventually. ^ Check out this wallpaper! 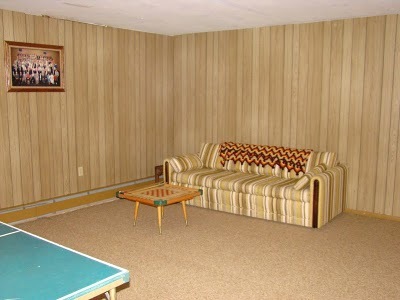 ^ The paneling in the basement is no more. My dad tore it off along with all the ceiling sheetrock so duct work could be added for the new heating system. 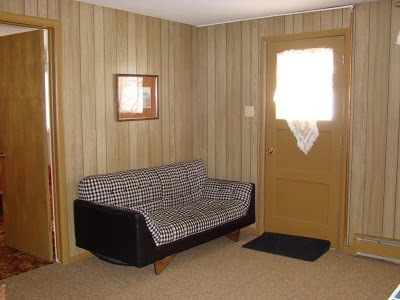 ^ It's a daylight basement so this door leads out into the front yard. My parents held a family auction when they cleaned out the house so everyone in our large family would get a chance to keep things they liked from the house. I was able to acquire this houndstooth sofa. Sweet! 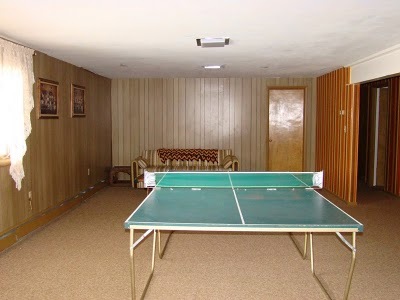 ^ Many a ping-pong match were played in this room. I wish there were just a few more windows along the left wall to take advantage of the daylight basement, but its still nicely lit for a basement. ^ This back room is large but unfinished. It has no windows, but we are thinking it would make a great media/family room. 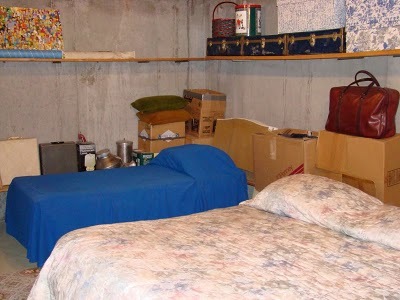 And finally, to finish the tour, I will show you the basement bedrooms and bathroom. Last stop! See you tomorrow.